This is a new recipe I'm going to be trying sometime this month! 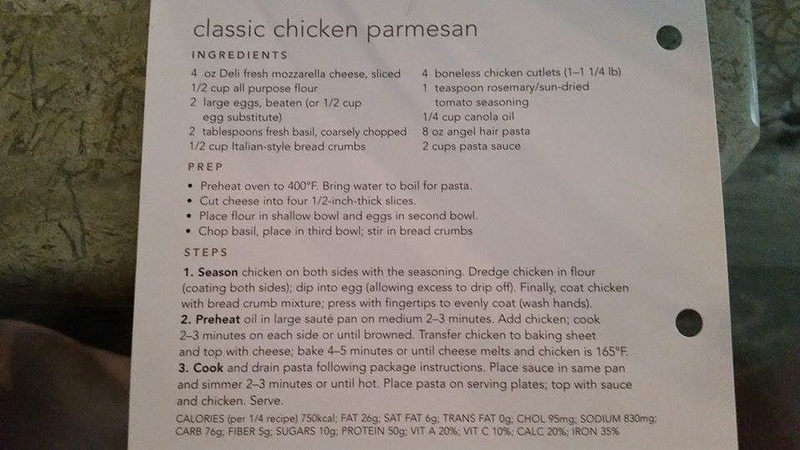 My fiance has been asking for some chicken parm for quite some time, so when I ran across this recipe at my local Publix I figured I'd give it a try. The recipe itself looks pretty easy - and I probably won't be making the honey cheese rolls. If I want to make some rolls I'll make those Red Lobster cheesy biscuits. 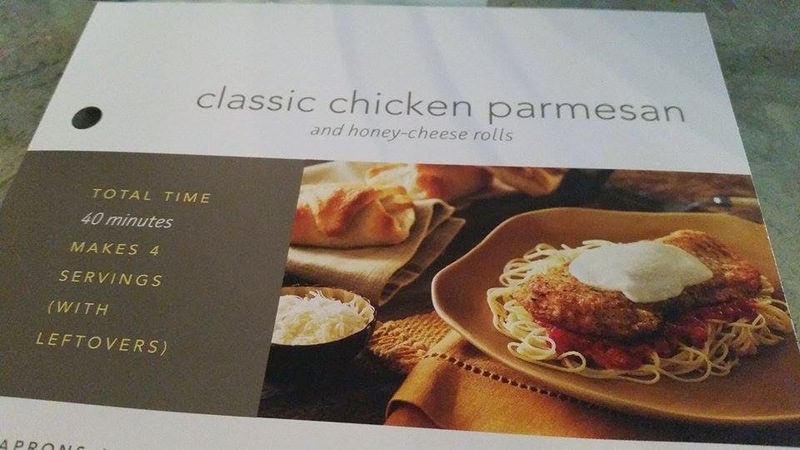 I found the link to this recipe online as well: Classic Chicken Parmesan & Honey Cheese Rolls. As always - if I cook this I promise to take lots of pictures of me struggling in the kitchen and the end result. The last time I tried a recipe from Facebook it turned out really good. Maybe I'll make this New Recipe a monthly thing where I try and cook new stuff every month! I def will let you know! I always seem to be the one cooking in my house so a little variety here and there spices everything up! I think fate brought me to #blogtacular today. I was just asking my gf if we could make chicken tonight!!! Nice to chat today. I'll let you know how it turns out!! Publix recipes are usually pretty good - I can't wait to hear back to see how it turned out!